Along with the drying effects of indoor heat on the skin, the earth's soil and underground water systems are influenced by winter's changes, therefore even our water is more drying to the skin. Now it is important to counter these ultimate drying effects of the skin. 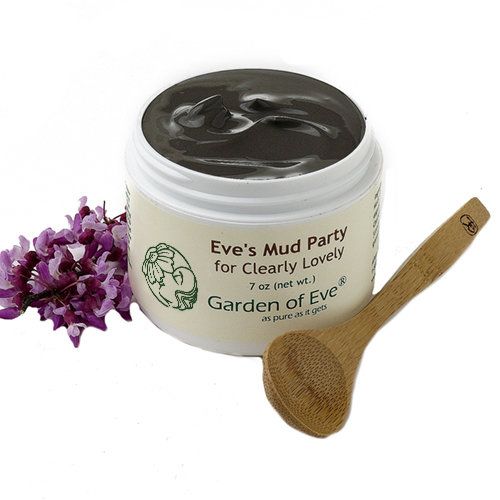 First- for Face and Hand Care - Eve's Mud Party product both clears and softens the skin. Often people are not aware that the Mud is also hydrating to the skin. 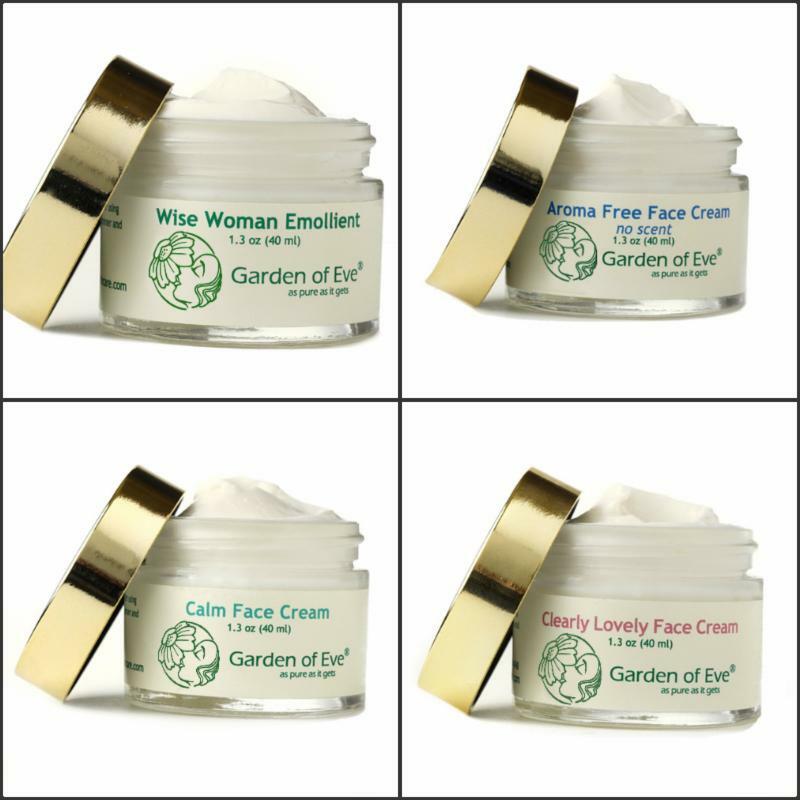 It also prepares the skin to better receive the Garden of Eve moisturizer creams. For Hand Care and Body Care - My favorite moisturizer creams to combat winter dryness for the body are Eve's Favorite Hand & Body Cream and Citrus and Sass. My hands and feet (the tough jobs) like the Serious Hand and Body Cream. Interesting to me is that one of my client/customers uses the products in the opposite way - she prefers the Serious Hand and Body Cream on her body and the Citrus and Sass on her hands. How can this be? Everyone's skin is different and absorbs differently. I suggest that when purchasing one hand and body cream you request a sample of another. We are always happy to help people find what suits them best. For Face Care - Whichever your skin type, be sure to use the Garden of Facial Toner before applying the Face Cream and apply the moisturizer cream while your face is still damp with Facial Toner. Note - some people do mix and match Facial Toner and Face Cream (skin) types. 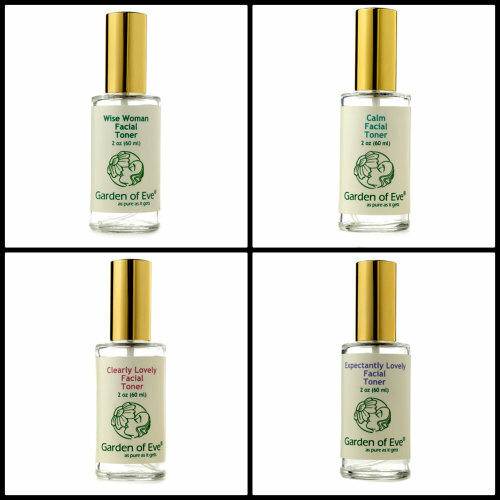 Reminder - Garden of Eve Facial Toners are pure plant hydration. They contain no drying alcohol, vinegar nor synthetic ingredients. Our Facial Toners quench and soothe dryness efficiently and completely naturally. For Eye Care - Winter can be an especially revealing time for the area around the eyes. Here are some eye care tips. Know that I am always available for consultations by phone or email. If you would like help selecting products or adjusting your product choices and how to use them. Our mission is to help people find what suits their skin best. This often changes with the seasons. 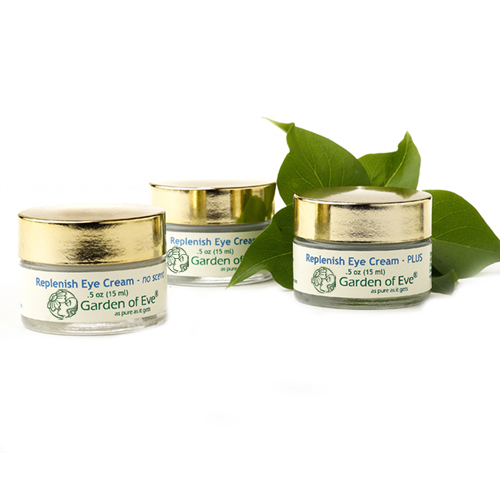 At Garden of Eve, we care for your skin in a healthy way that is also caring for the health of our planet.